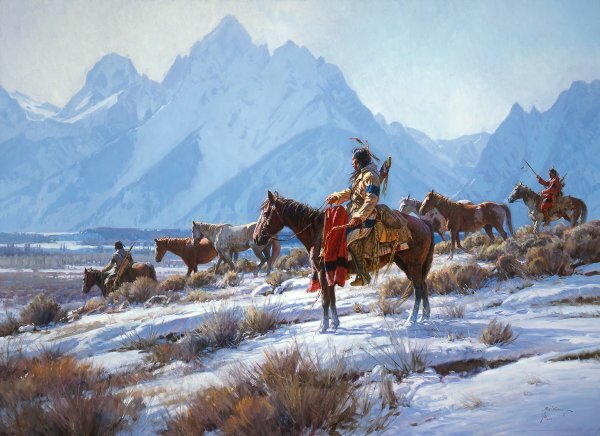 Martin Grelle has created another wonderful story in this image. When horses were introduced to the Native Americans, their lives were forever changed. The magnificent animals offered a means of traveling the vast plains and a way to transport goods. These hunters are seeking more horses to add to their herd. Even in the icy throes of winter, these braves are on a quest to bring back more horses to serve their camp.